REI created the #OptOutside movement, urging Americans to leave their credit cards behind and spend the day after Thanksgiving enjoying more natural pursuits. How does a retailer turn the biggest shopping day of the year on its head? Opt out of it. Outdoor enthusiast retailer REI stayed on brand when it chose to close its stores and website on Black Friday and instead pay its employees to go play outside, a move that was certainly unexpected. Research told the brand Black Friday was beginning to lose steam. Moreover, the retailer’s sign-ups for its Outdoor School sessions had jumped 25% in the past year, and employees relished their Yay Day benefit that allowed them to take paid leave to enjoy the outdoors. 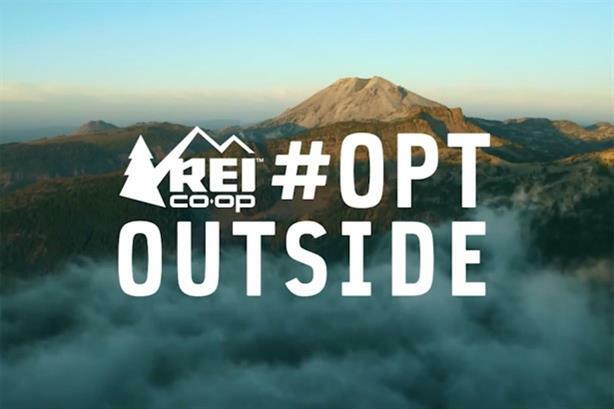 Putting that all together, REI created the #OptOutside movement, urging Americans to leave their credit cards behind and spend the day after Thanksgiving enjoying more natural pursuits. REI tapped Edelman to handle the campaign, which had to be social by design, while still drawing in big media and influencers to spark conversations. The company’s 12,000 employees and 5.5 million REI members were the first to learn the news, via a letter from CEO Jerry Stritzke. Key embargoes with USA Today, CNN, and NBC lit the fuse on October 26. Social networks were deployed and content creation kicked off through Medium, a microsite, and a Reddit AMA, among others. The CEO was positioned in New York City for interviews on launch day, while a Meetup partnership for events gave the media interview opportunities on the day while employees were out of touch — literally. Nonprofit partners evangelized #OptOutside further. Major outlets carried the story, resulting in 33 days of coverage. Followers increased across social: Twitter, 6%; Facebook, 8%; and Instagram, 18%. Moreover, sales and memberships grew nearly double digits in 2015 over the prior year. Retail job applications soared 94% in Q4. "Great integration with digital, paid, and earned — and great visibility for the brand," said one judge. Seeking to raise global brand awareness, as well as the supply of vacation homes in France, HomeAway embarked on a promotion timed around the UEFA Euro 2016 soccer tournament, which it was sponsoring. In the wake of recent terrorist attacks in Paris, it worked with the city to give away a once-in-a-lifetime vacation: the first stay in the Eiffel Tower. It received more than 150,000 entries from more than 20 countries. The announcement alone garnered 20 times more media coverage than previous HomeAway campaigns, including 2,500 articles and more than 22 million views on Facebook Live.